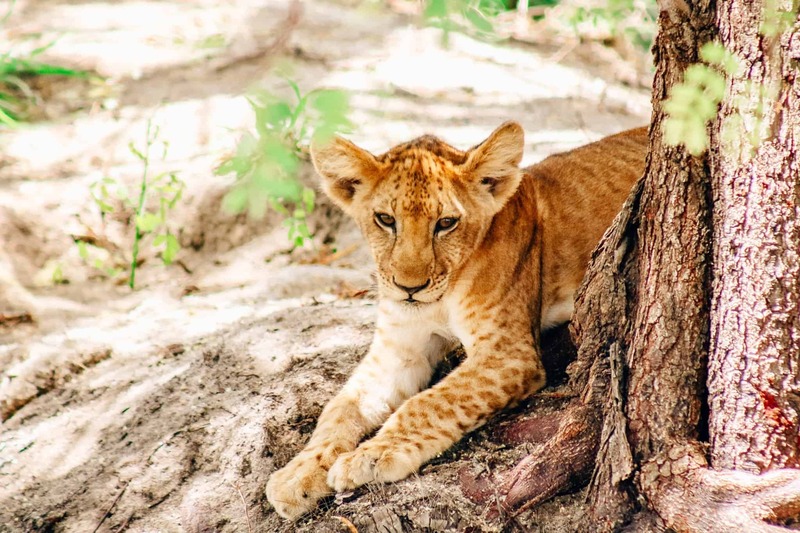 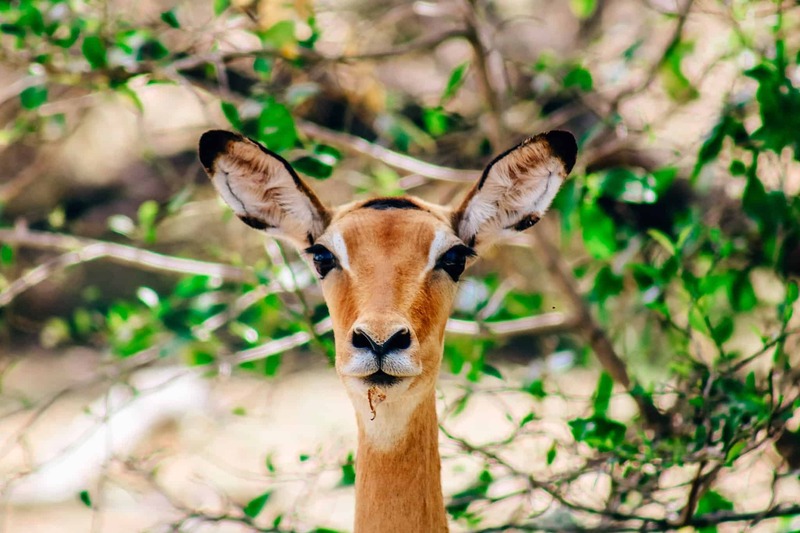 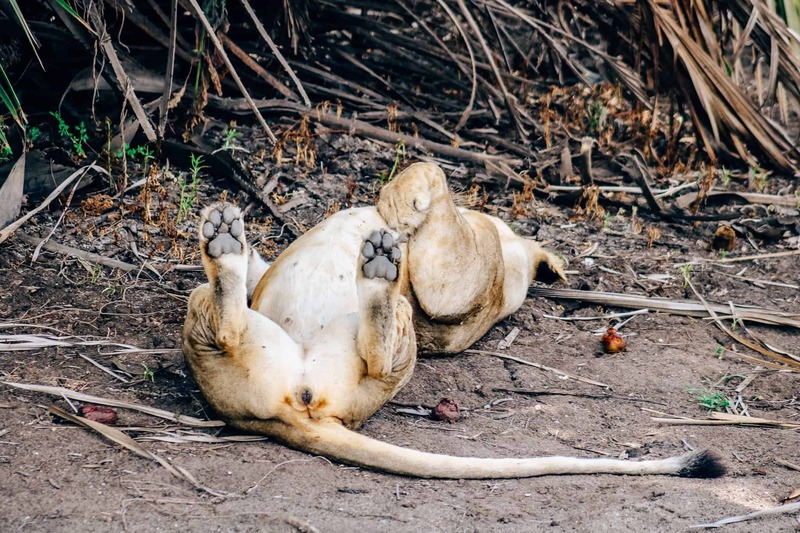 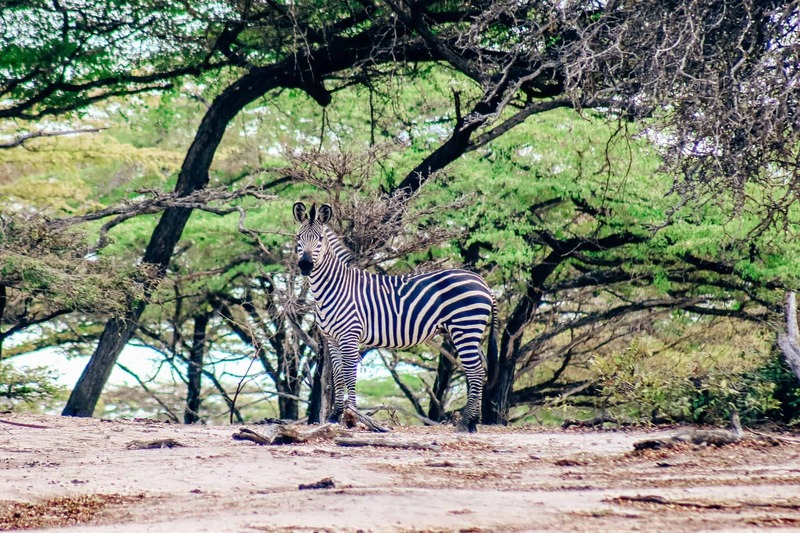 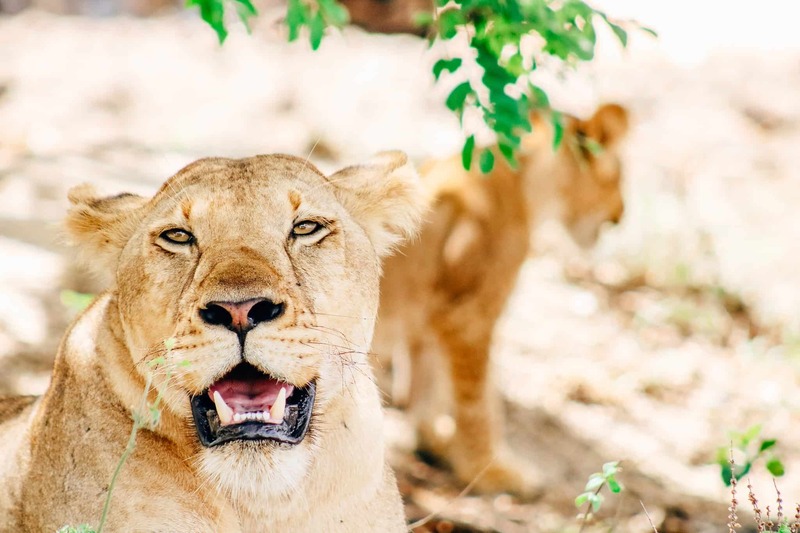 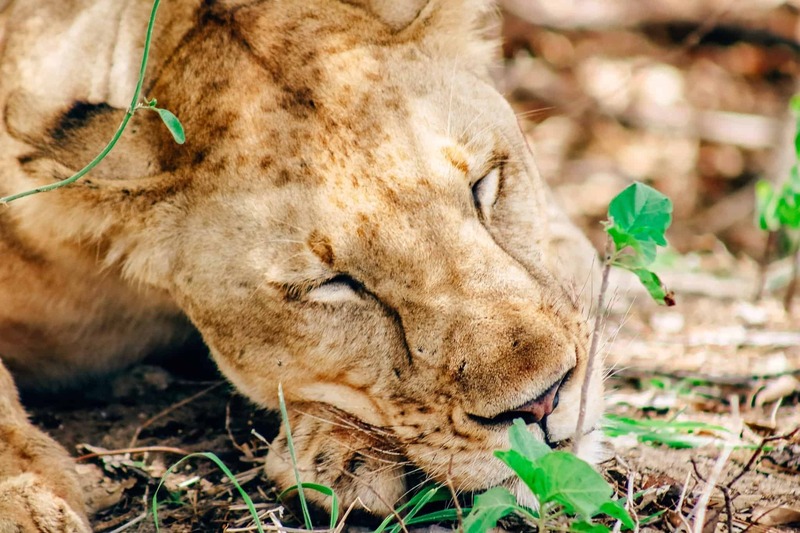 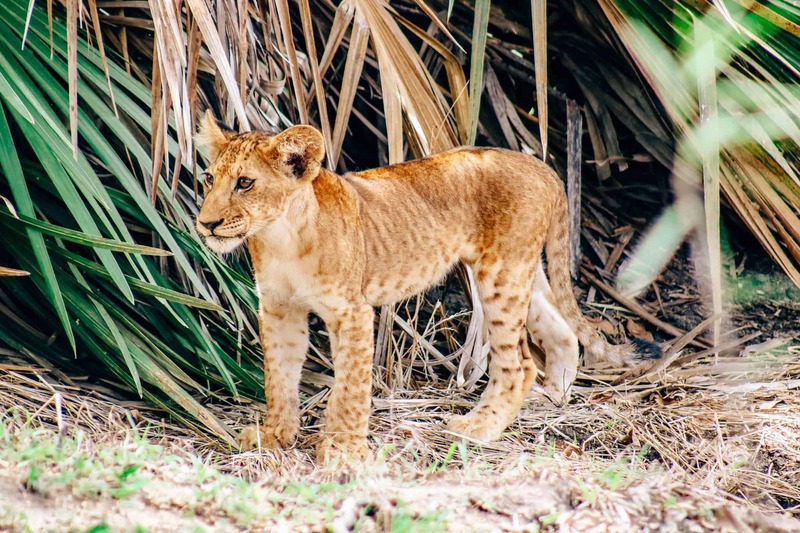 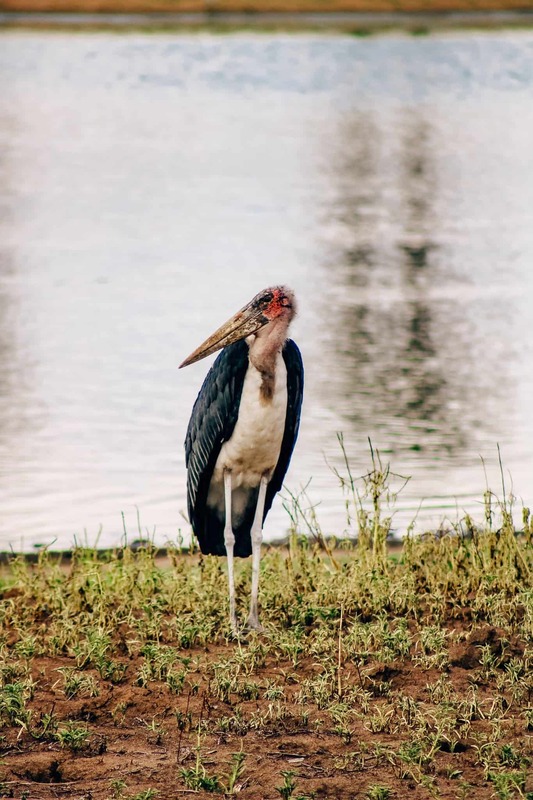 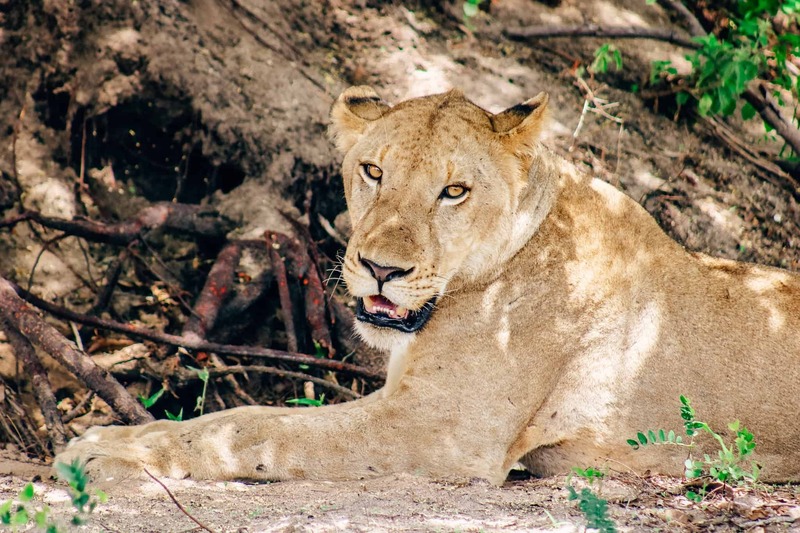 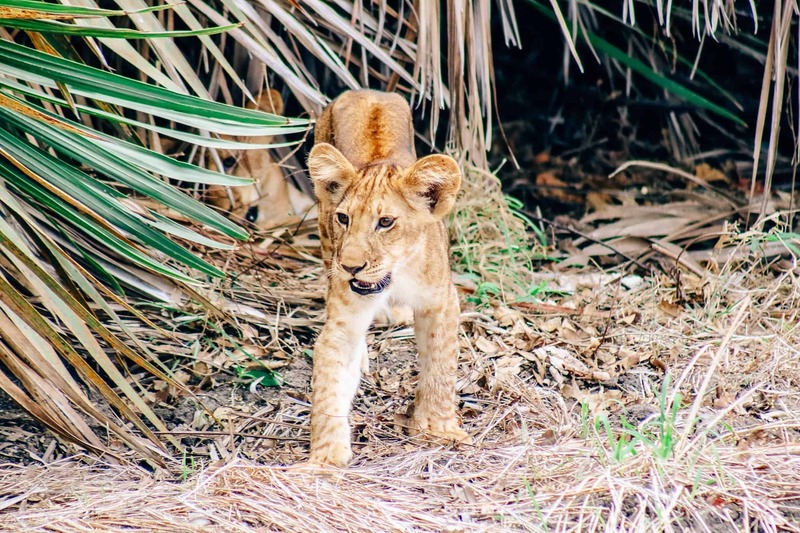 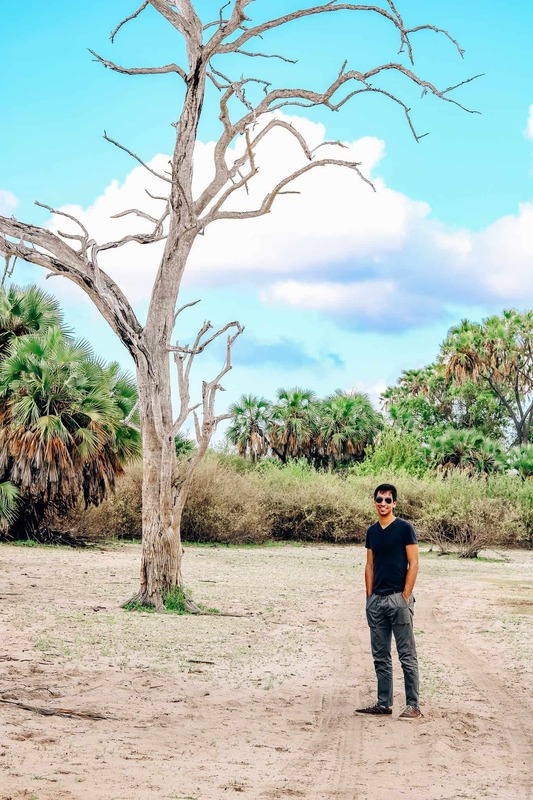 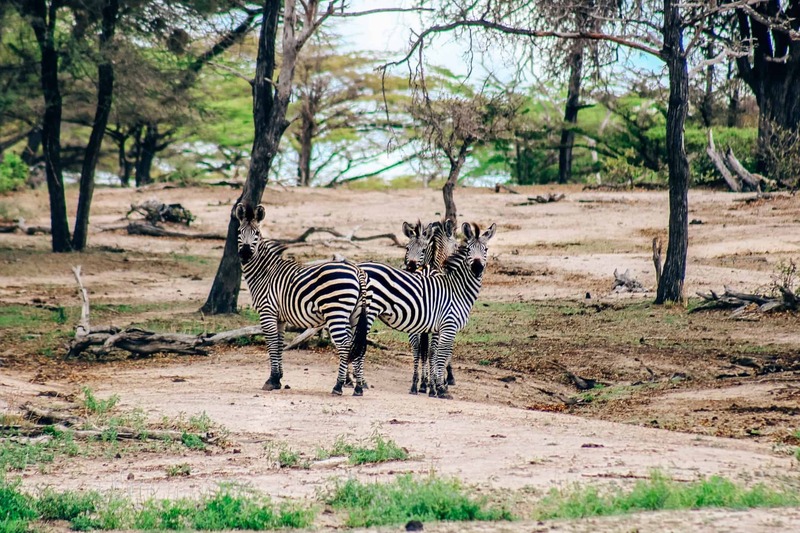 If you've been following along on our trip to Tanzania, you might recall that we spent our first day in Dar es Salaam (you can check out our city tour here) and the second day on a river safari at the Selous Game Reserve (you can read about our adventure here). 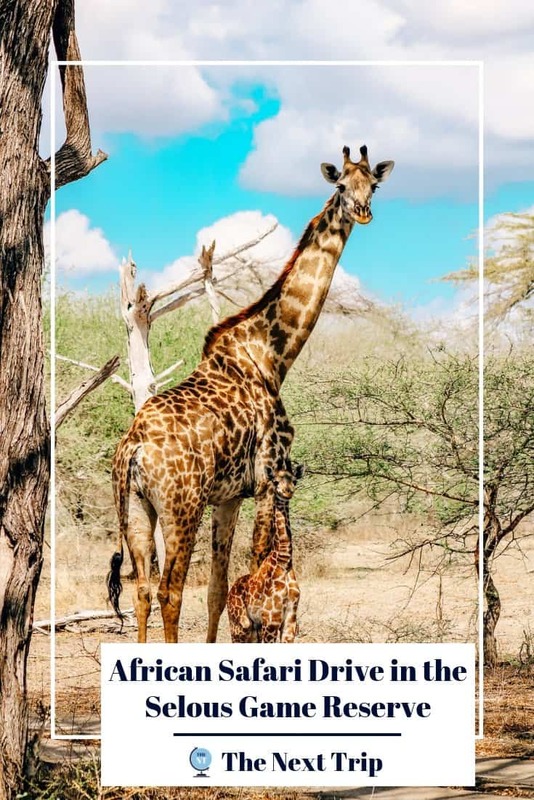 With two additional days for safari, we decided to do an early morning game drive the day after we arrived and a full day game drive on the third day. 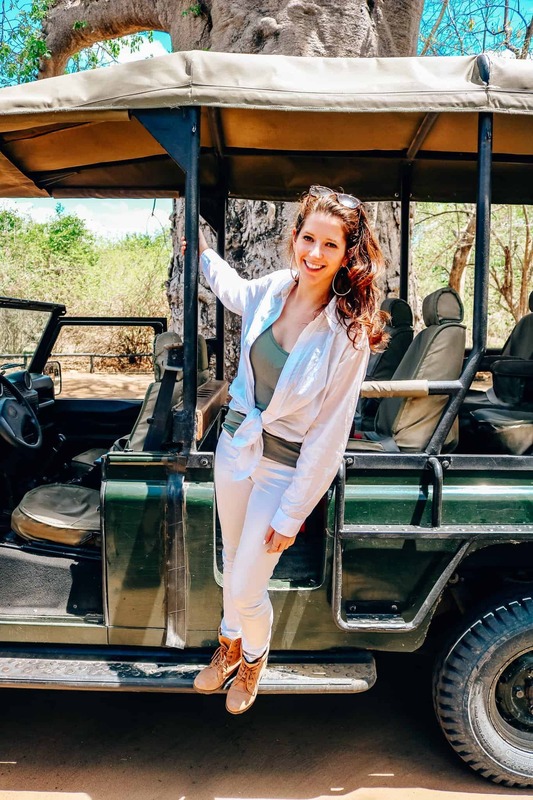 Doing an early-morning game drive on the second day of our African safari was definitely a struggle as we were still jetlagged. 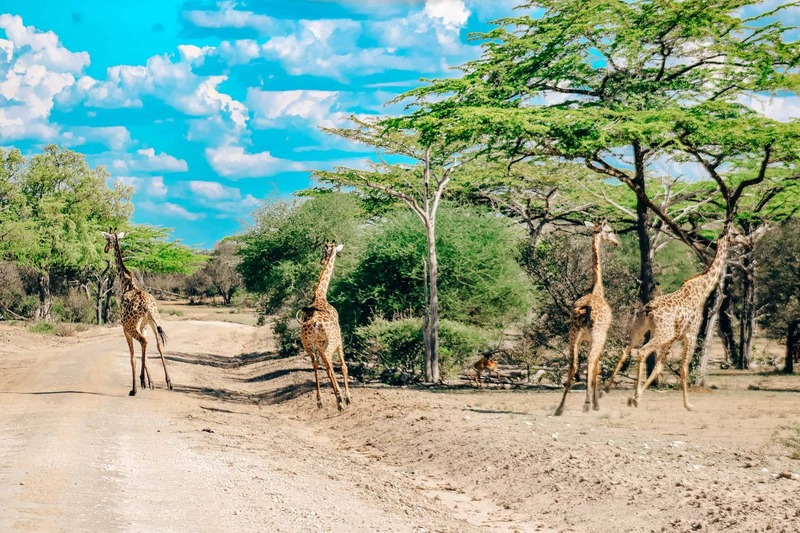 However, it was immediately worth it when no more than five minutes into the drive we came across two giraffes chowing down on a tree near the road! 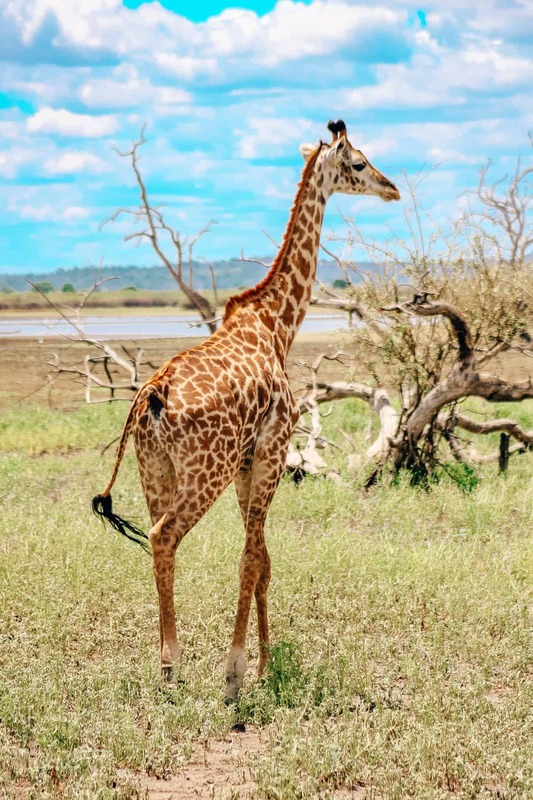 Our safari guide patiently stopped and let us take some imperfect pictures due to the angle and distance. 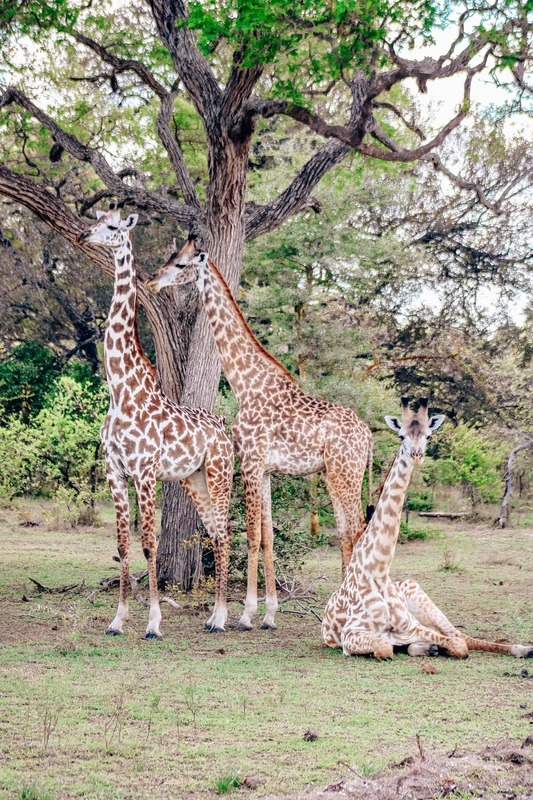 Little did we know, there would be hundreds more giraffes to come. 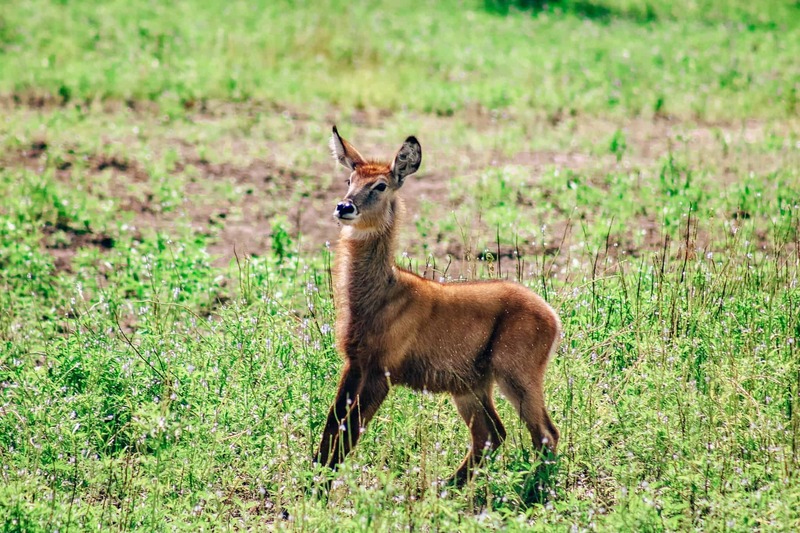 The best place to look for animals in the wilderness is, of course, close to food or water sources. 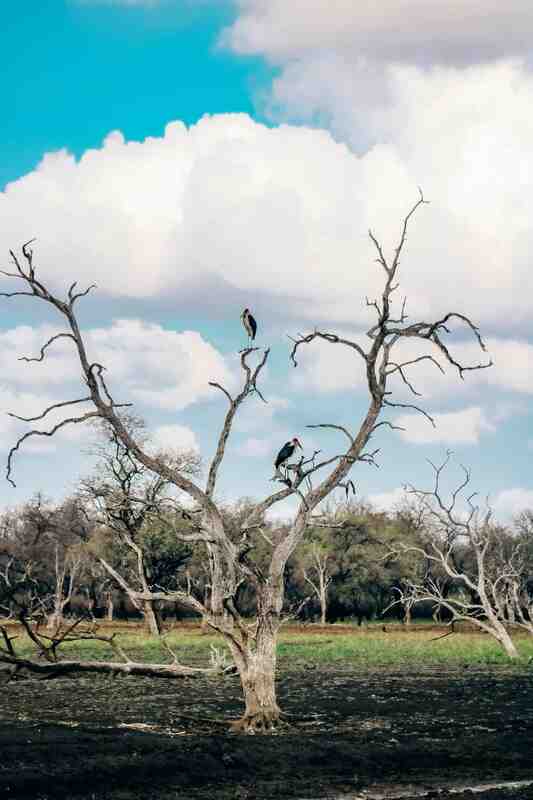 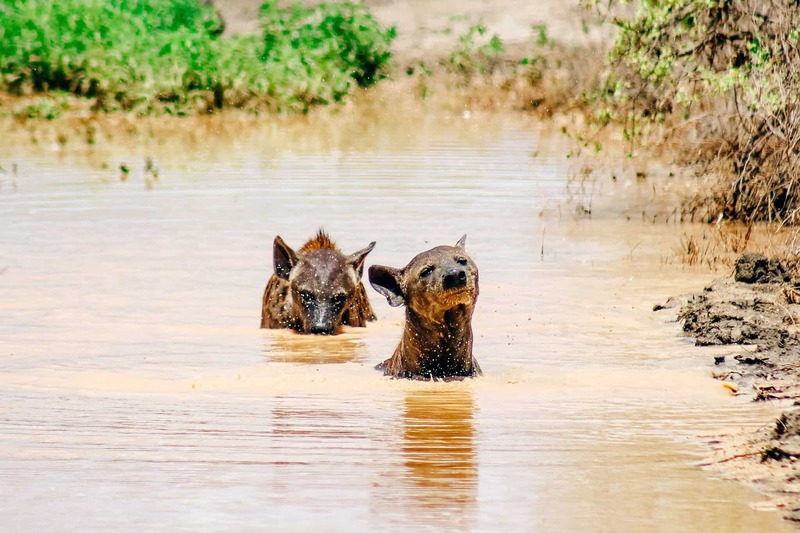 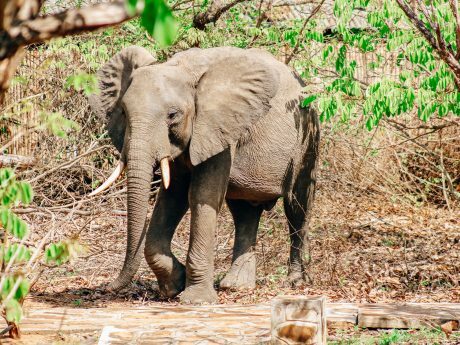 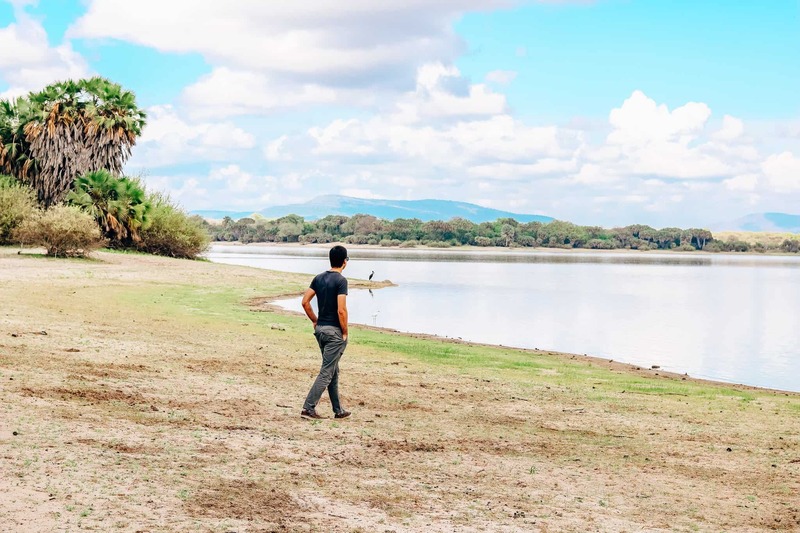 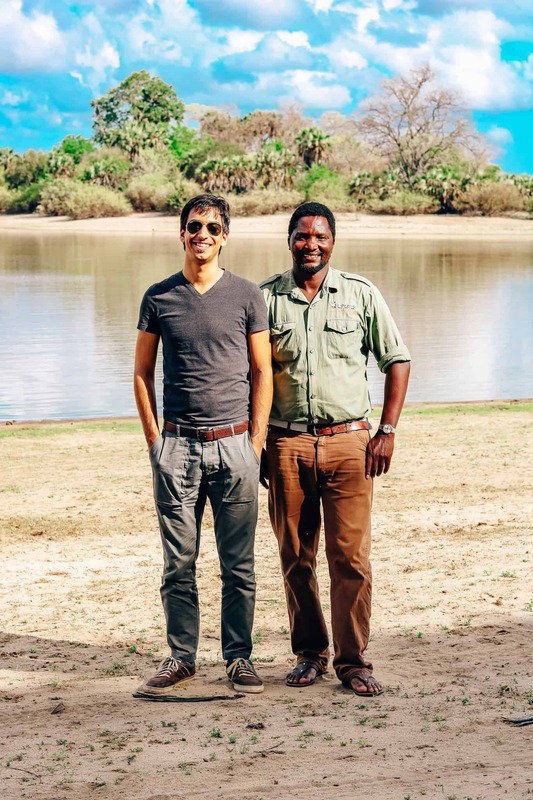 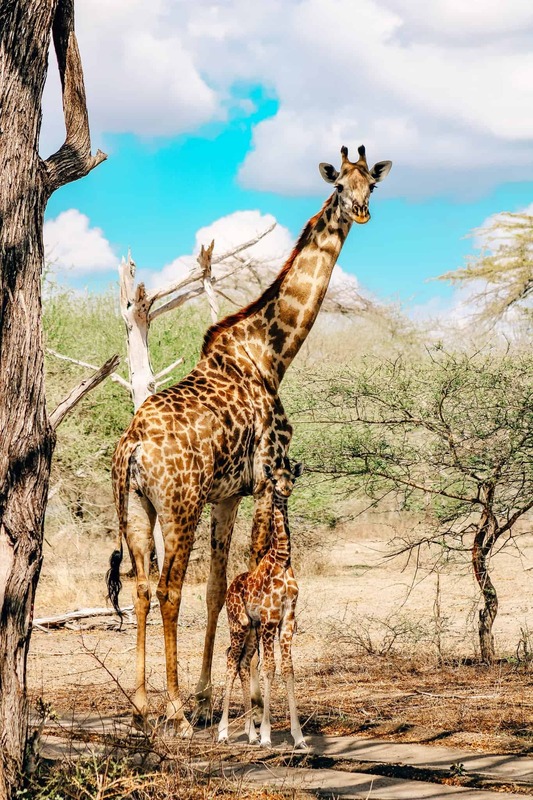 In talking to our guide, the Selous Game Reserve near the Rufiji River Camp contains about seven or so watering holes for the animals, which can make it slightly more difficult to find them, given that water is so plentiful. 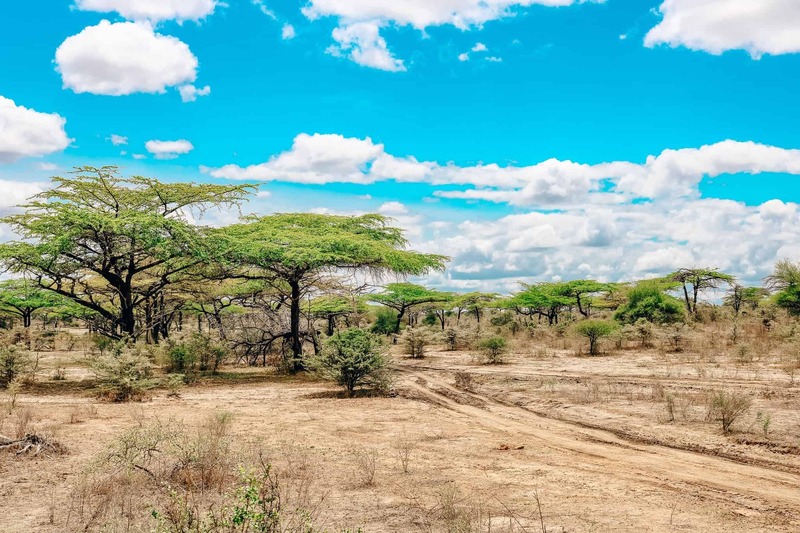 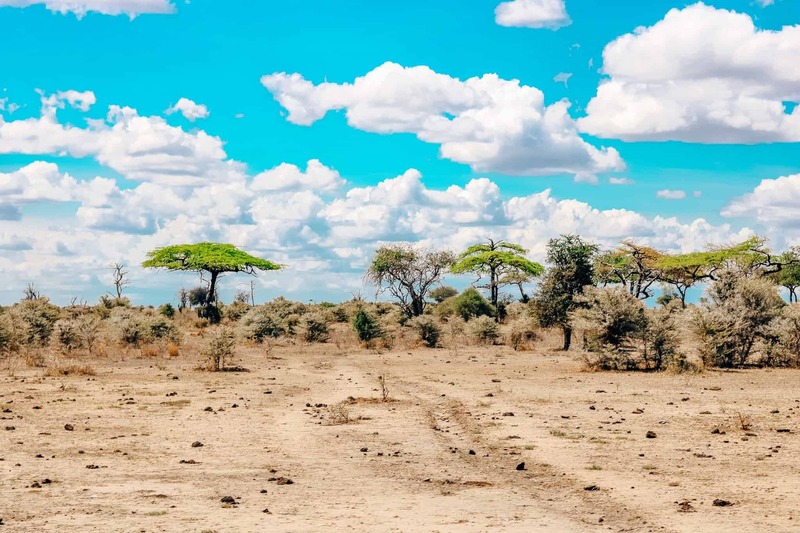 This is not the typical dry, desolate savannah that you might have expected from an African safari, but rather the geography is rolling hills with trees and bushes all over. 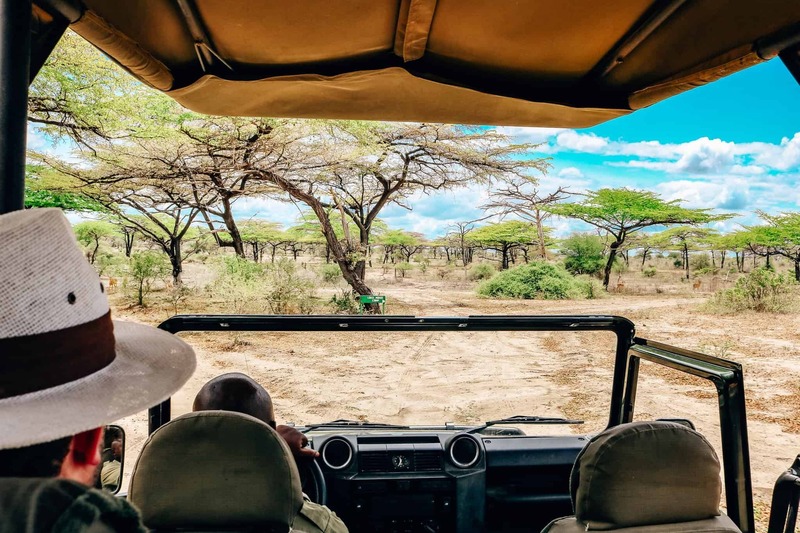 Each turn around the next corner brought new excitement as we discovered new animals and views along the way. 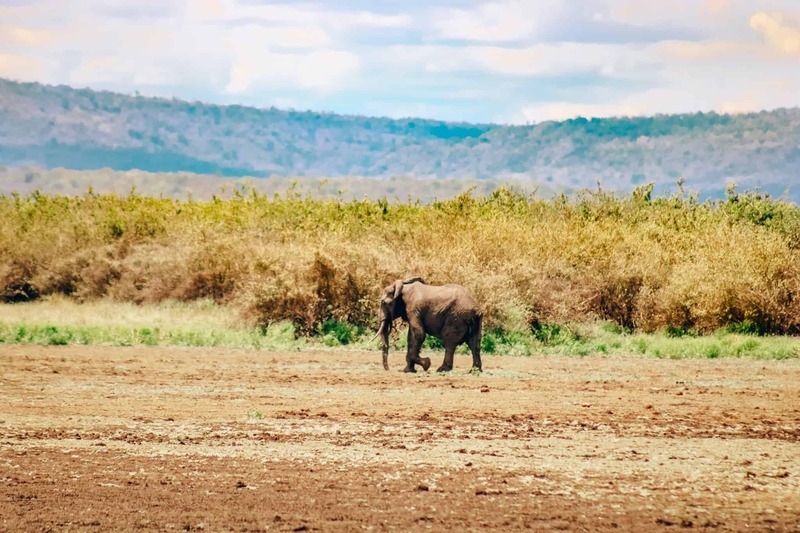 Forewarning – this is a picture heavy post! 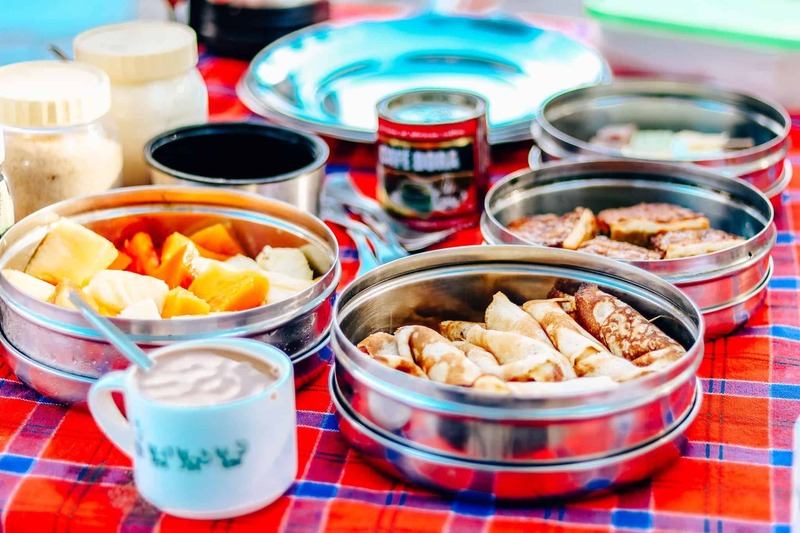 Halfway through we stopped to enjoy a bush breakfast, complete with hot coffee, delicious fresh fruit, and homemade pastries. 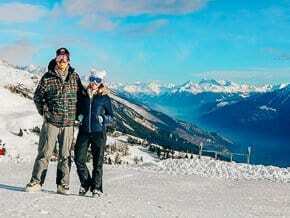 This gave us a chance to stretch our legs and walk around. 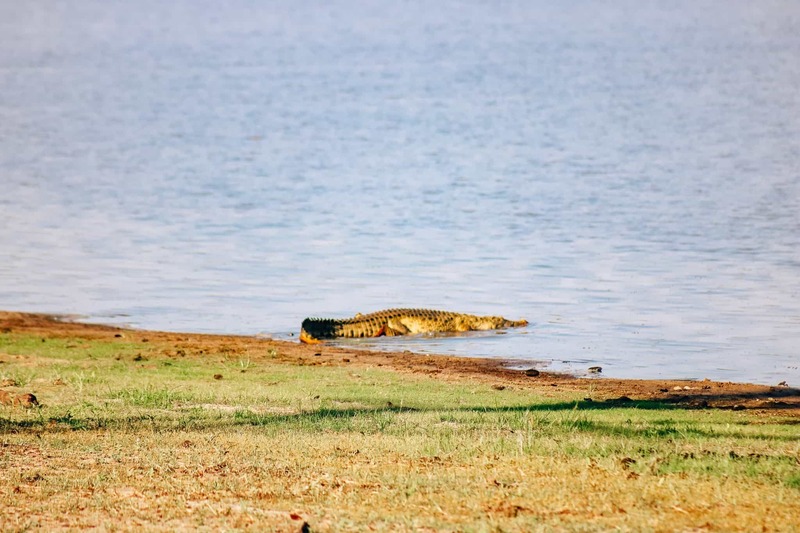 However, you couldn’t wander too far or too close to the water, in case a crocodile had his eyes on you for breakfast. 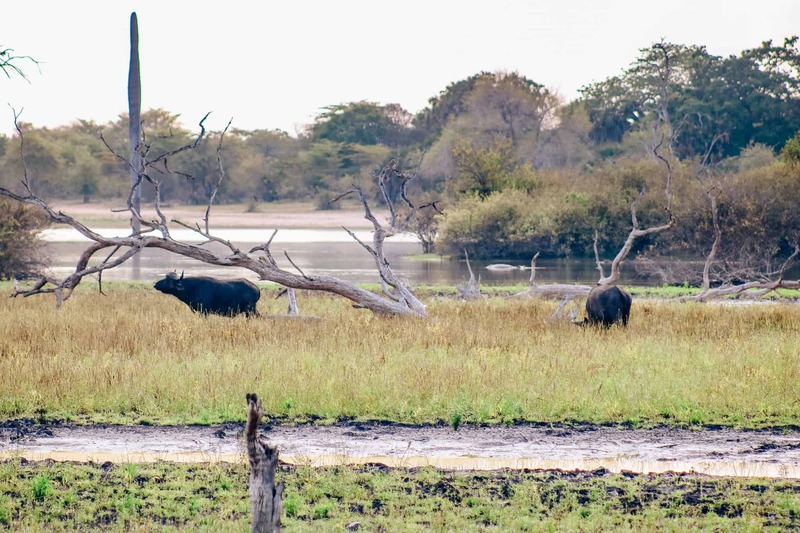 Just after breakfast we caught a hippo running out of the water – it may not be slim, but can sure run fast. 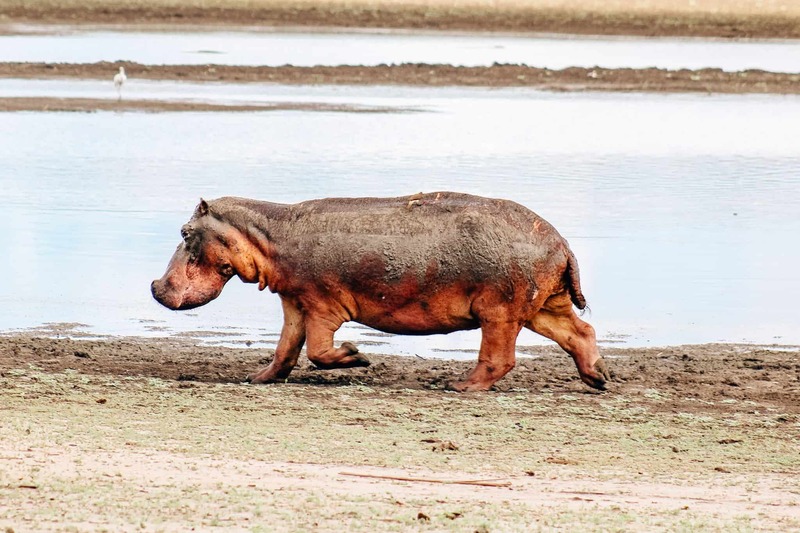 Seeing a hippo out of water during the day is relatively rare as hippos tend to stay in the water all day to protect their skin from the sun and heat. 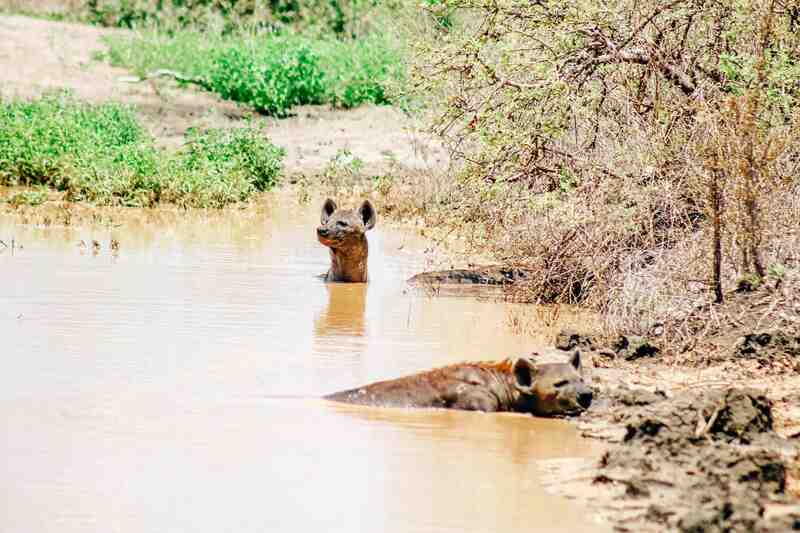 For pictures of hippos in water, check out this post. 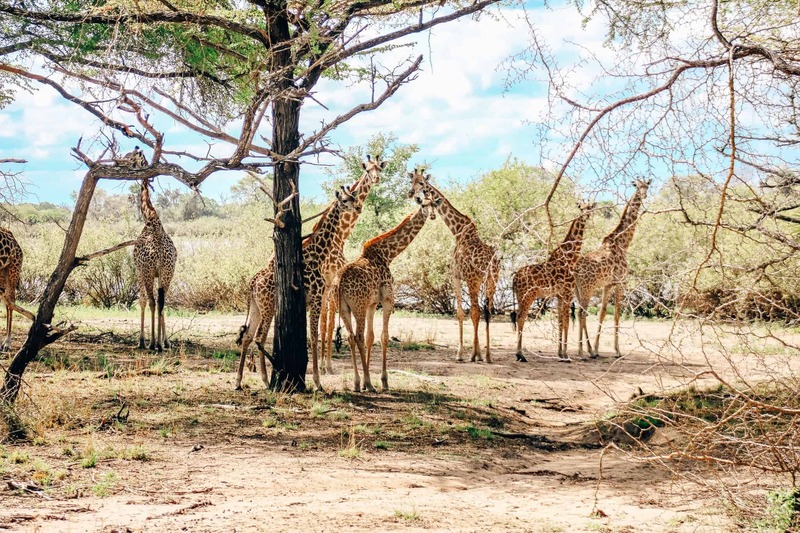 Further along that day we came across more giraffes, birds, and impalas than we could count. 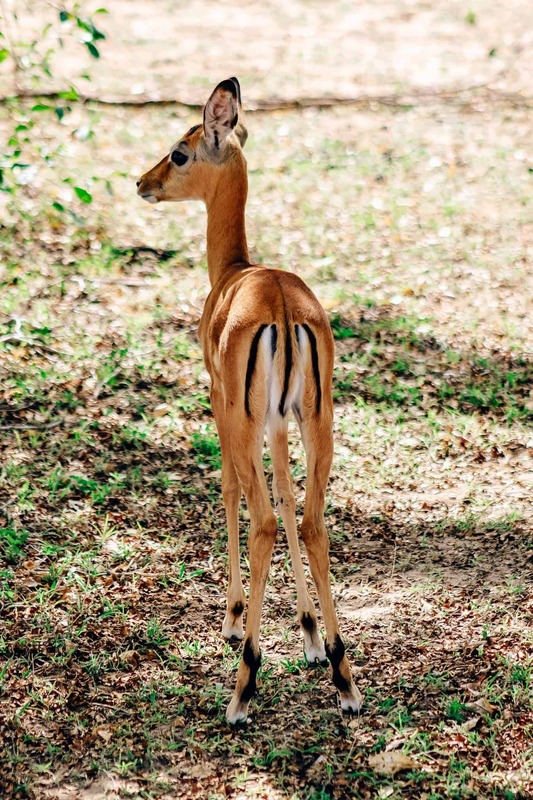 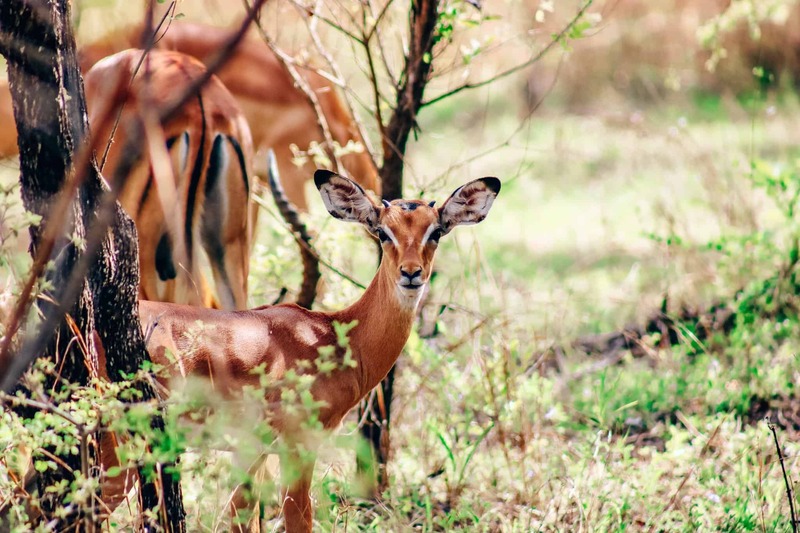 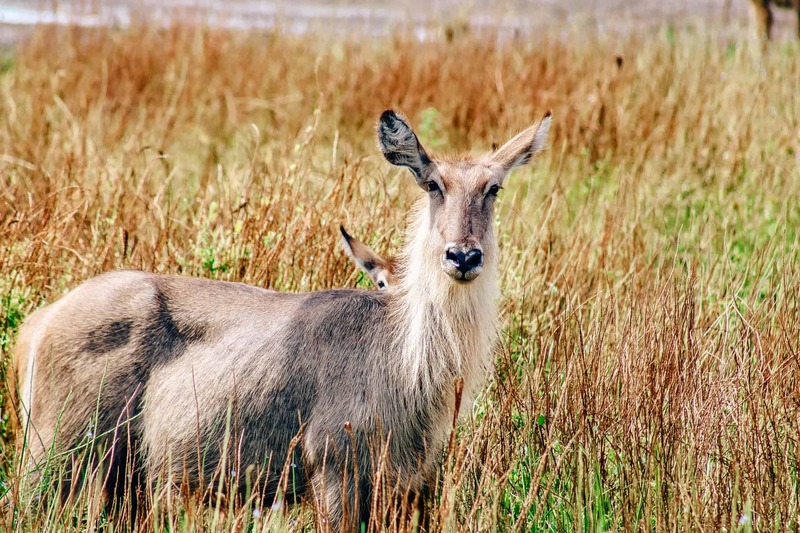 The impalas give birth to their young each year in November, so there were hundreds of little calves running around. 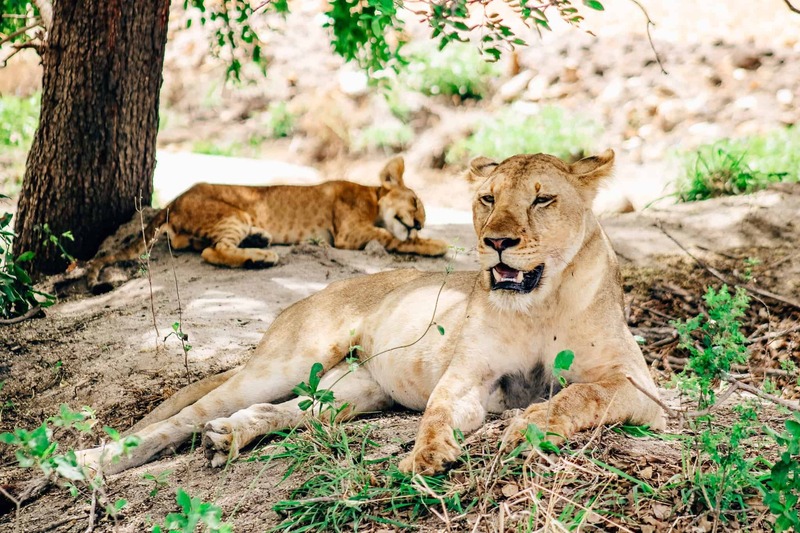 The lions couldn’t have cared less that we were there, and just kept on sleeping in the shade, trying to stay cool and away from the hot African sun. 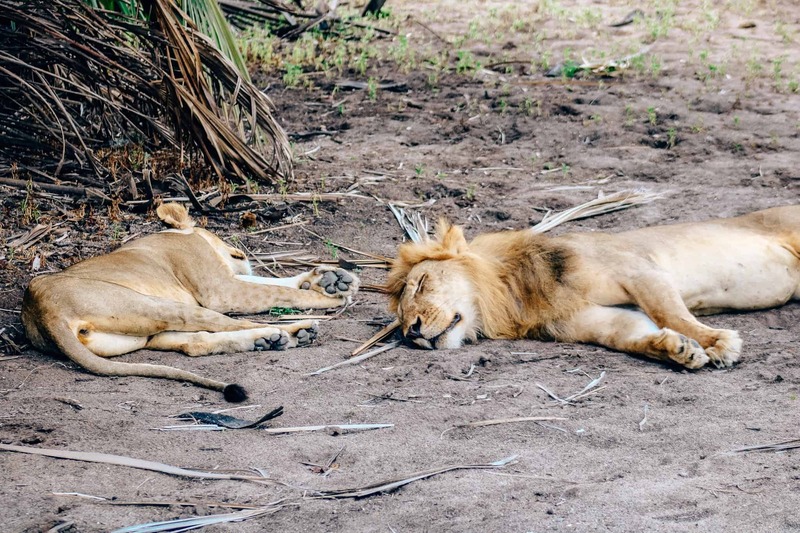 We stayed here quite a while, and saw them stretch, yawn, and lay around, just like a slightly-oversized housecat. 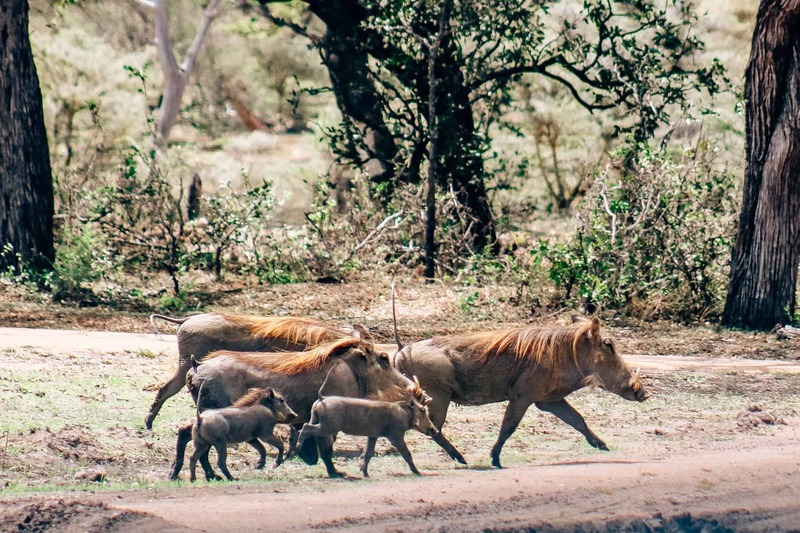 Before we knew it we were heading back to the lodge, extremely pleased with all of the animals we had seen that morning. 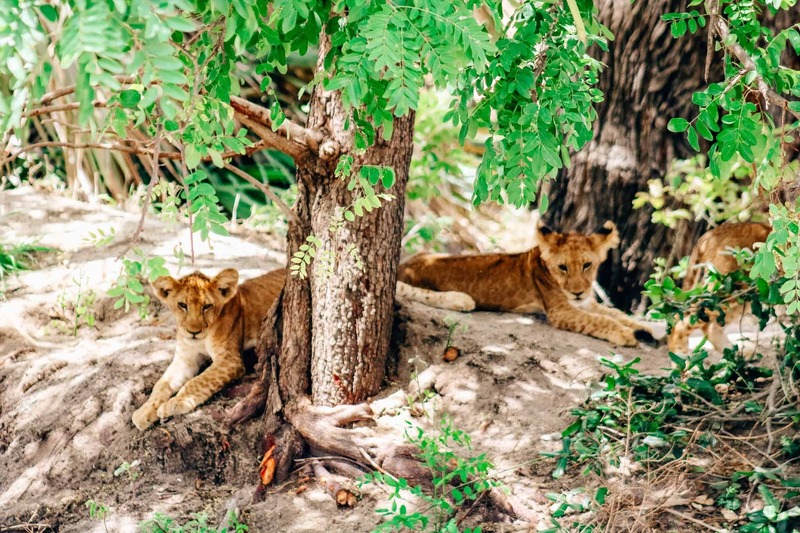 ...and a small family of lions and their cubs. 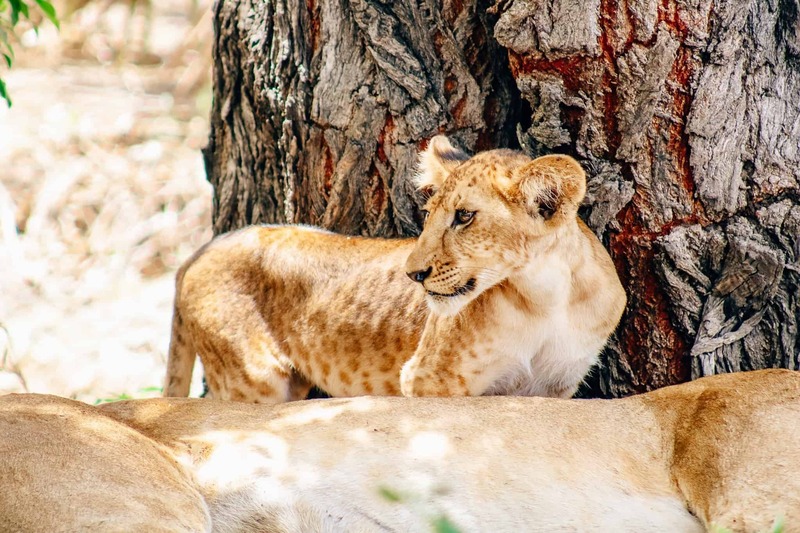 Bettina really wanted to cuddle with the lion cubs, but it was not advised by our safari guide. 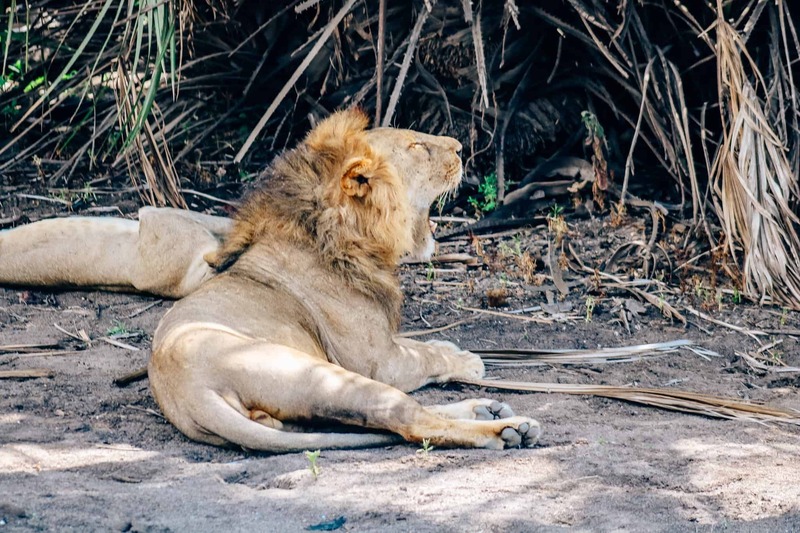 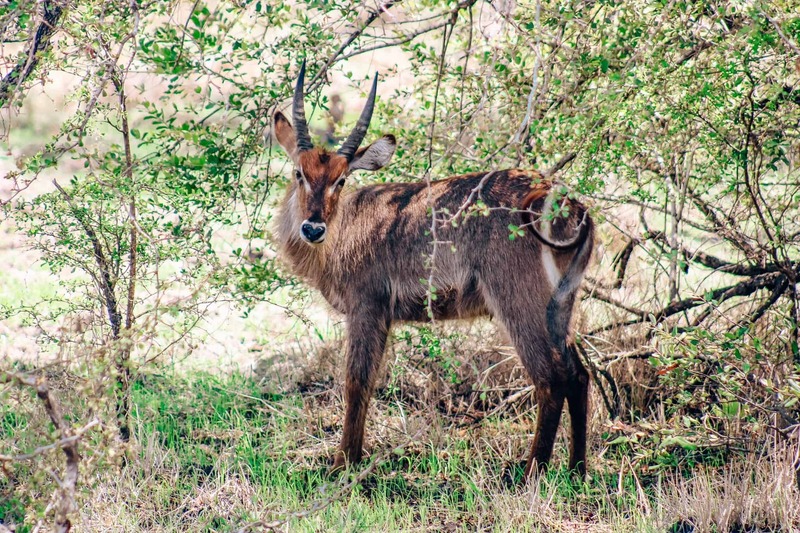 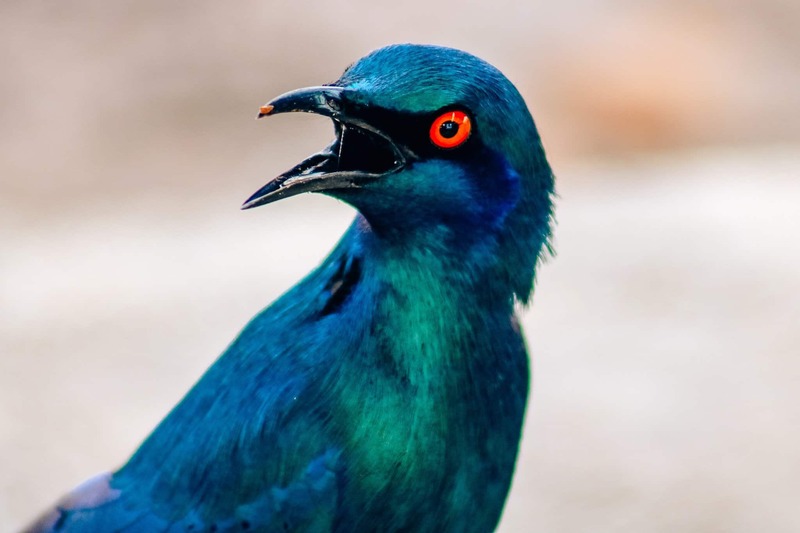 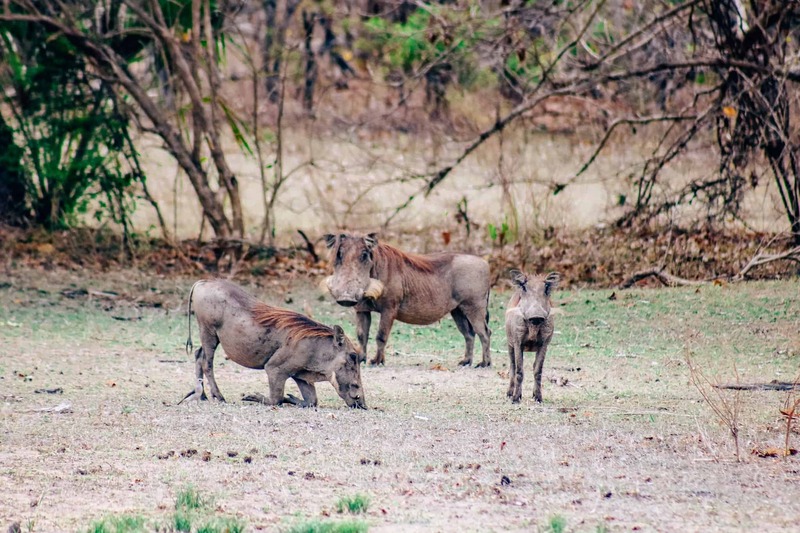 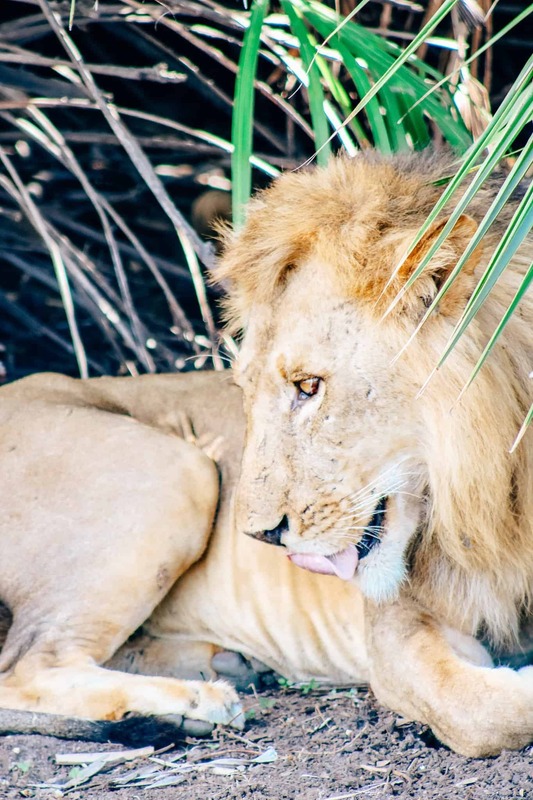 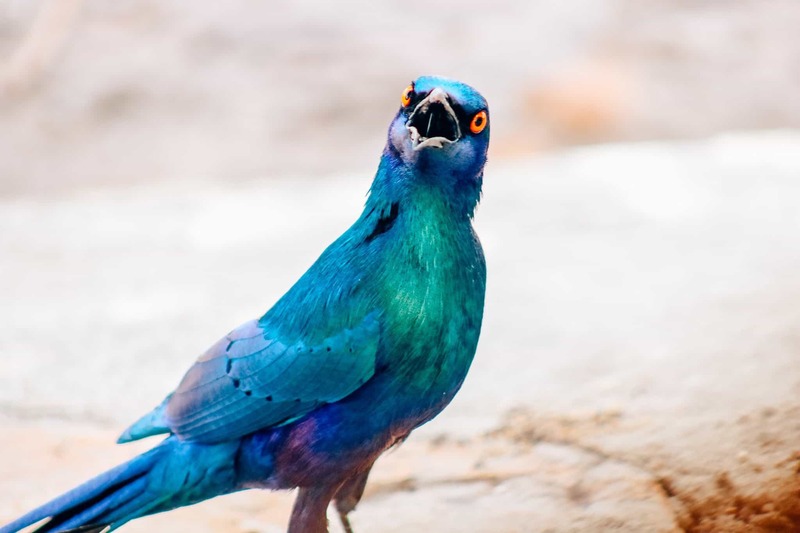 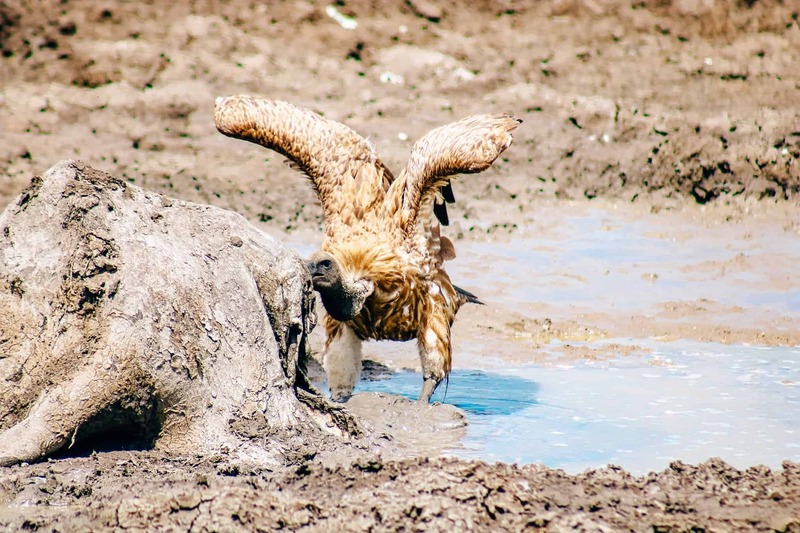 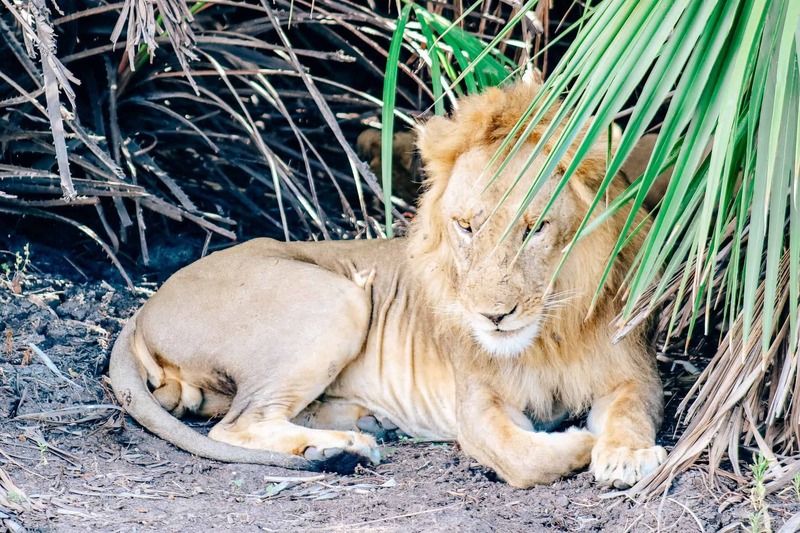 Everyone has heard of the big five game animals – consisting of the lion, leopard, rhinoceros, elephant, and Cape buffalo, of which we saw three on this trip – but did you know that there is also an ugly five? 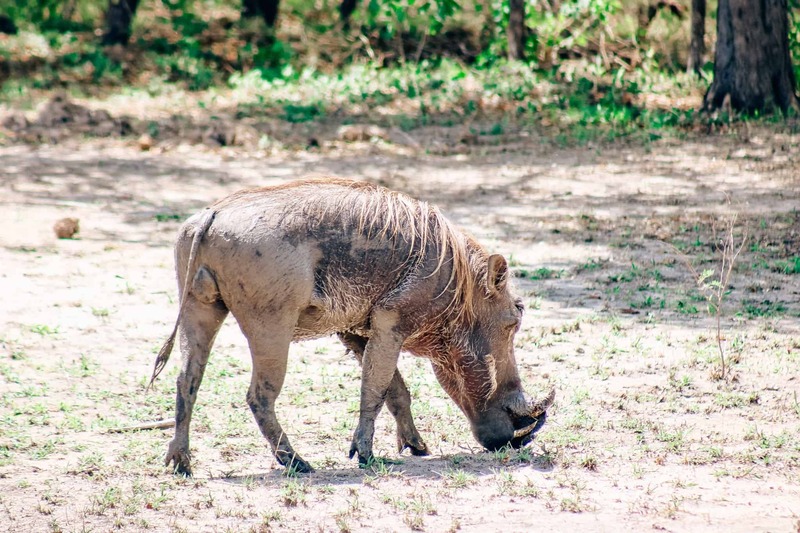 The less glamorous grouping of animals consists of the warthog, hyena, marabou stork, vulture, and the wildebeest. 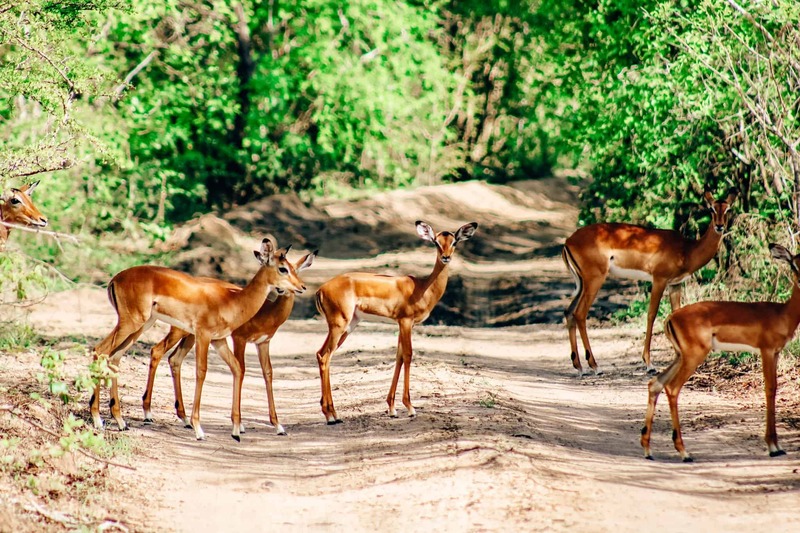 We were fortunate to catch all five of these animals on our day-long safari drive. 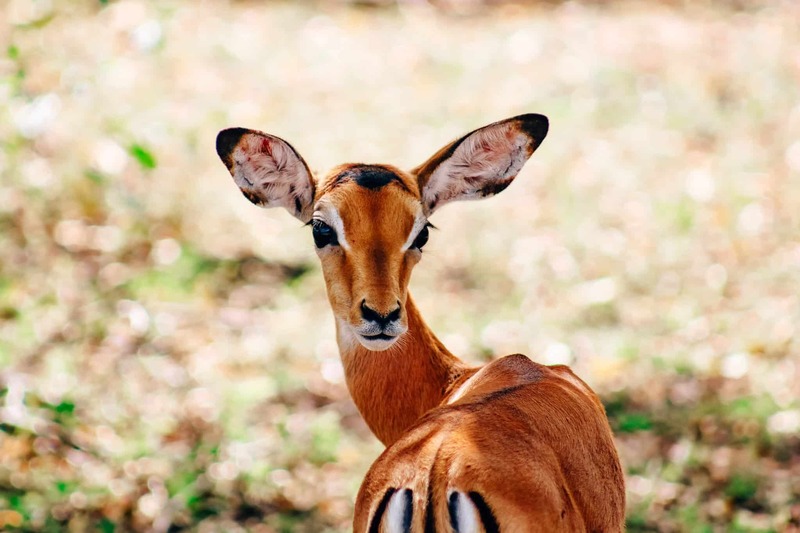 And here we have another beautiful animal, affectionally known as the toilet-seat, which you can see from the rings around it’s behind. 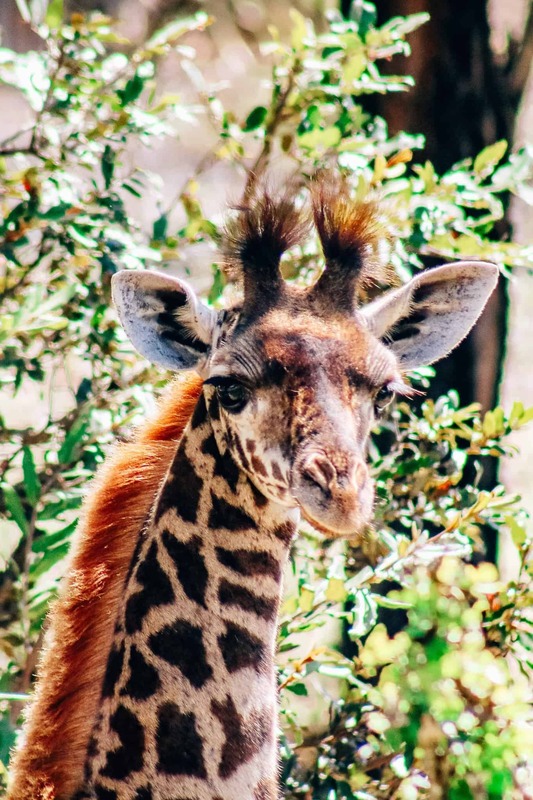 Despite the cute lion cubs and the toilet seat babies, Bettina's favourite animal on the safari was by far the giraffe. 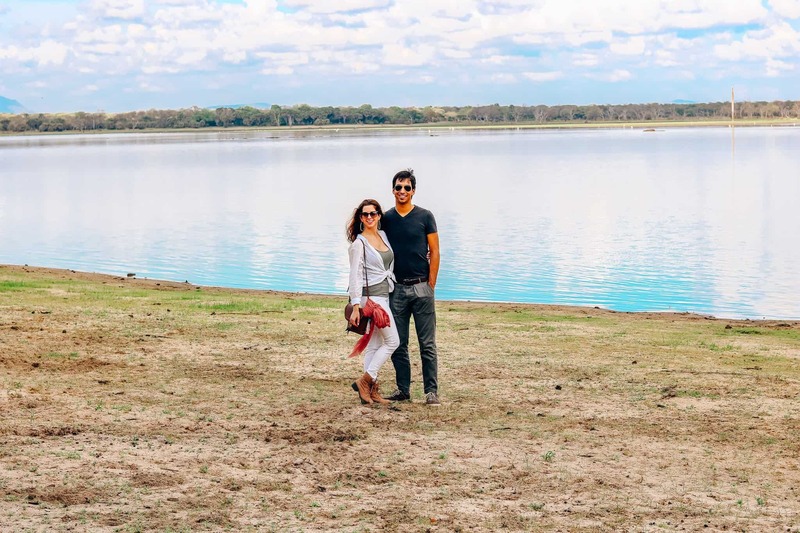 Mostly due to their elegance and perfect posting. 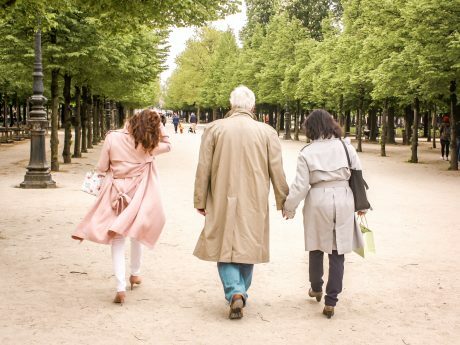 But also because they made her laugh with their indecisiveness when it comes to directions! 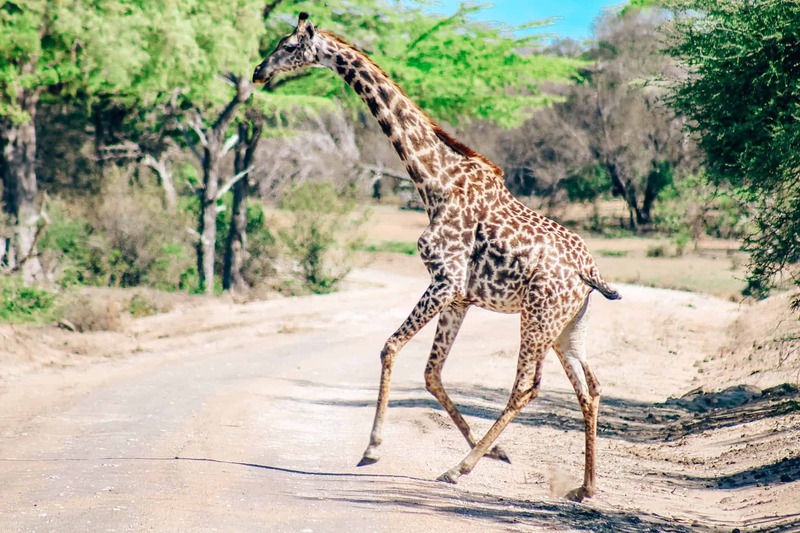 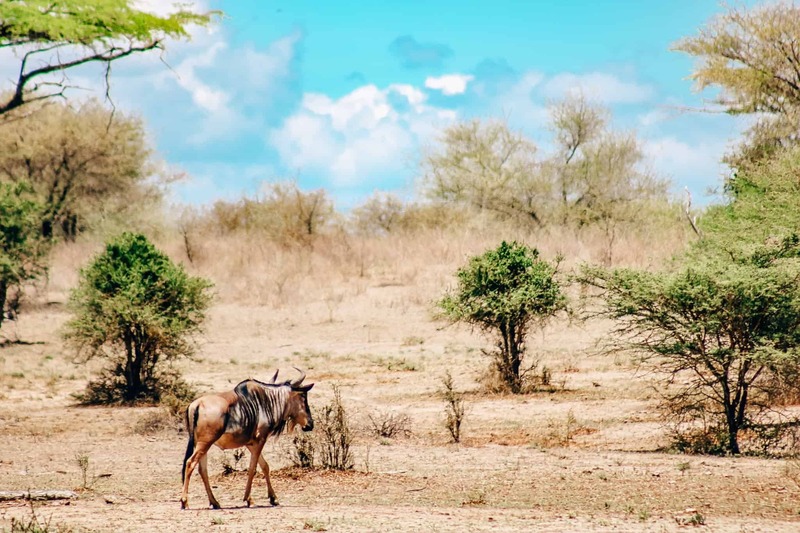 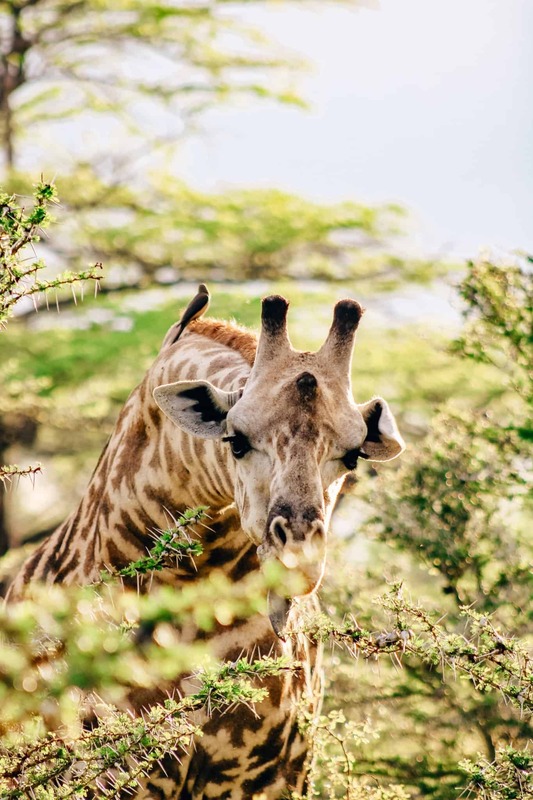 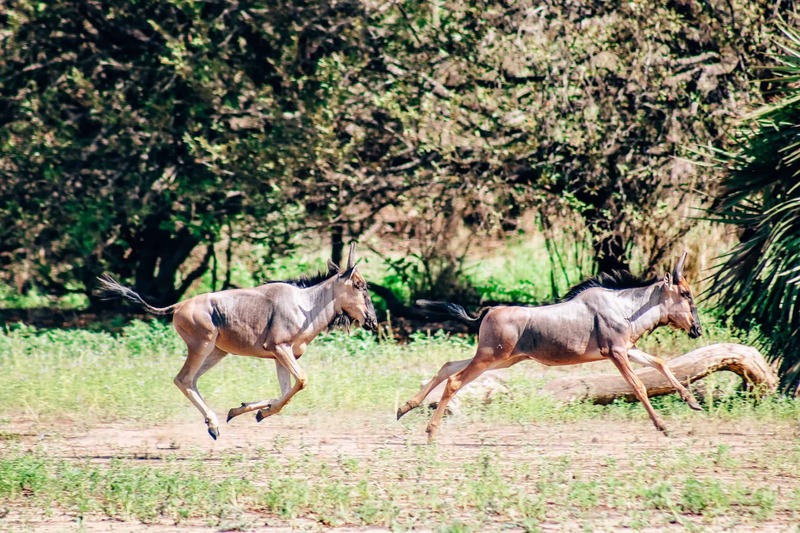 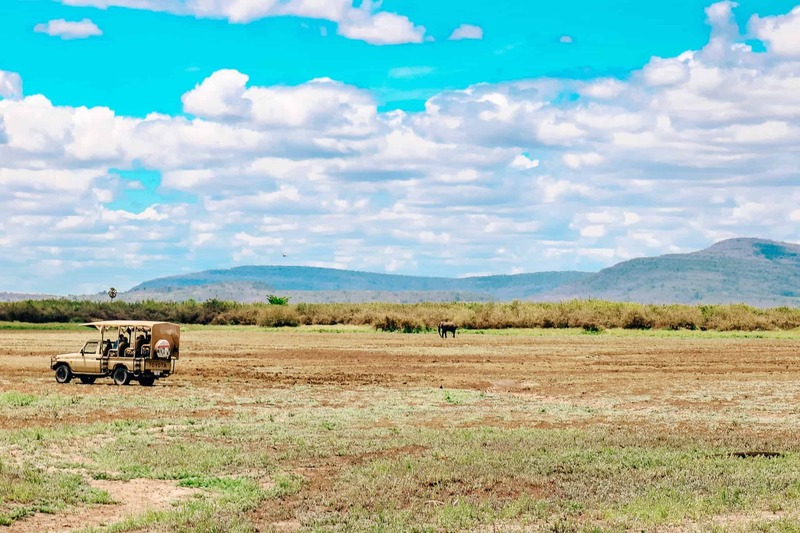 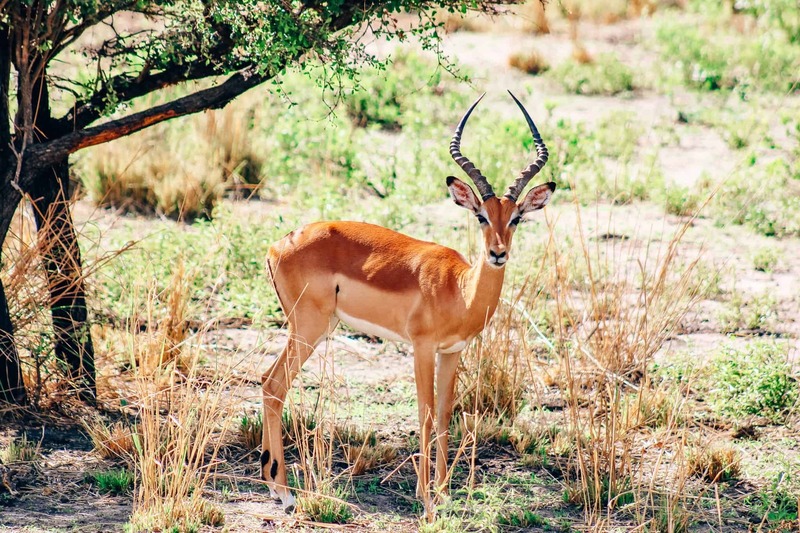 Our first African safari turned out better than we could have imagined, with our excellent accommodation, sunny weather, and of course all of the animals that we saw. 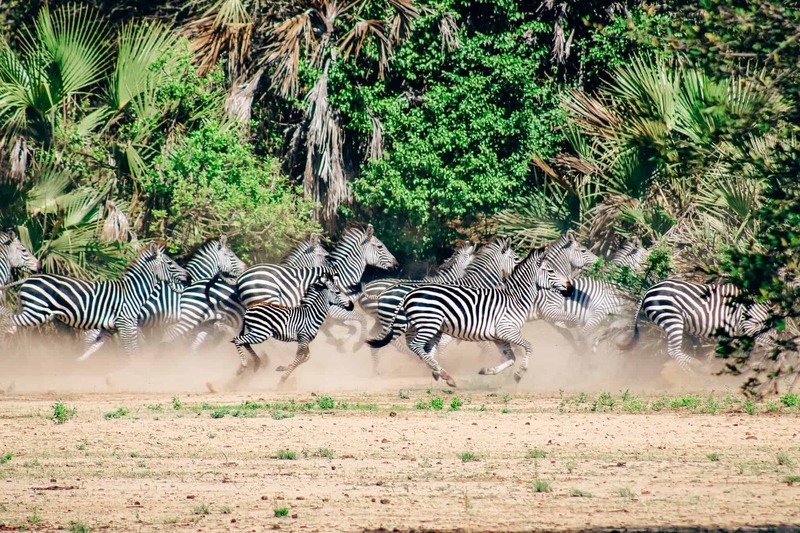 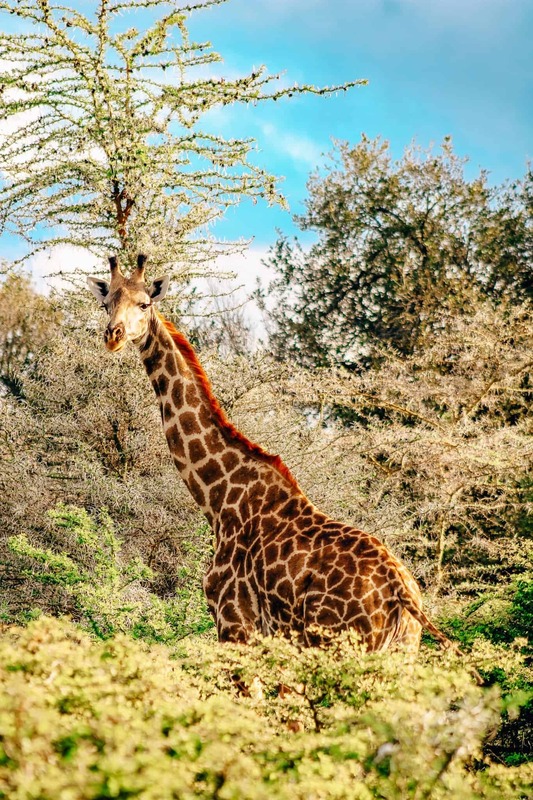 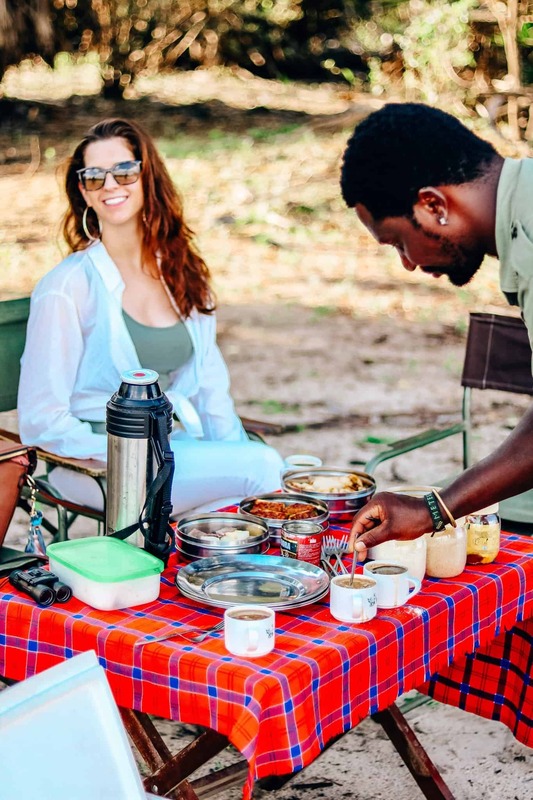 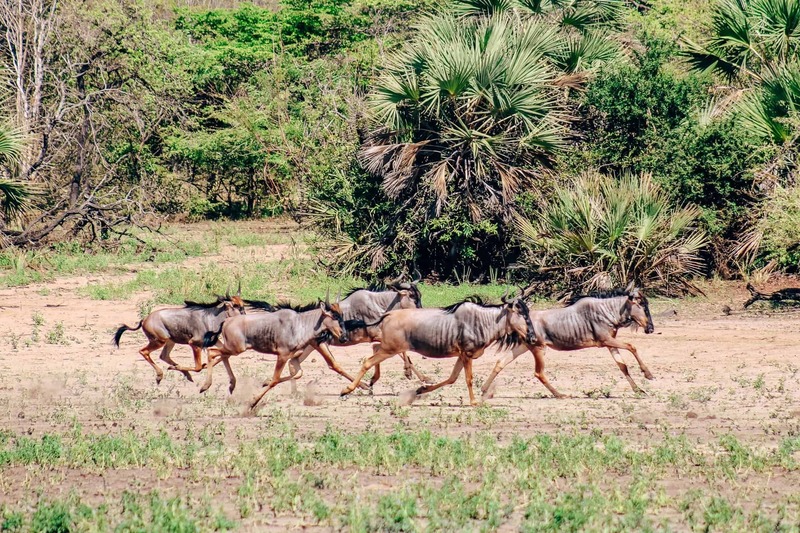 If you’d like to book your own African safari in Tanzania, we have partnered with Takims Holidays, who booked our safari, and are offering you a 20% discount (use the code thenexttrip20 with your inquiry). 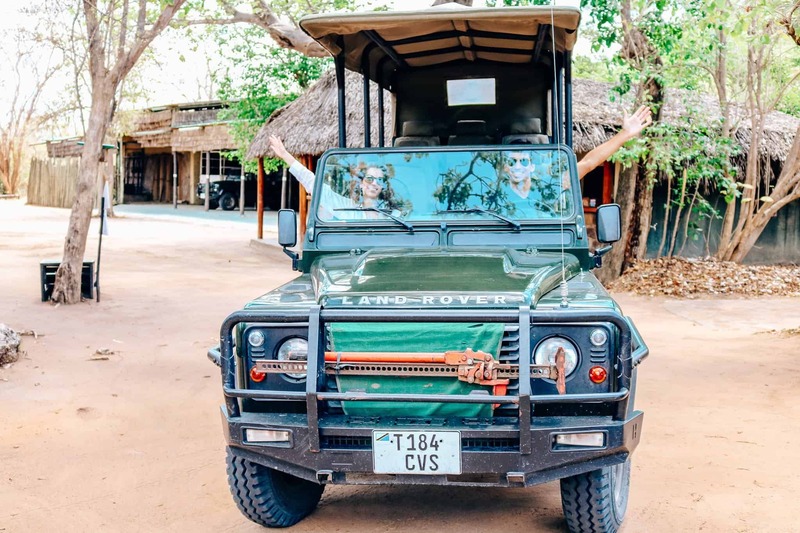 Have you been on a safari before? 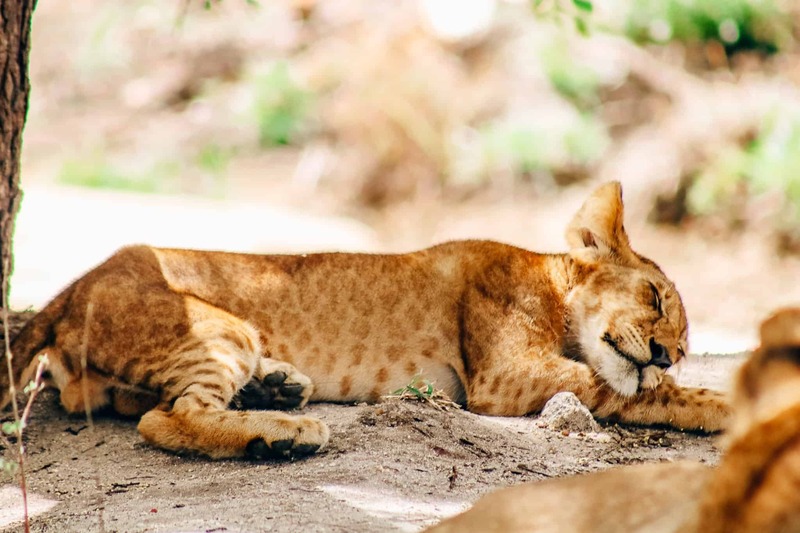 Disclosure: Some of the links in this post are affiliate links, meaning, at no additional cost to you, we will earn a commission if you click through and make a purchase.